This was the first Crestbook “KC-Conference” to take questions not only in Russian, at the KasparovChess forum, but also in English, here at Chess in Translation (if you don’t see your question yet, it’ll feature in Part II!). Seth: Hi Peter! With computers getting stronger and playing an ever-increasing role in opening preparation, will elite chess players get any fun out of chess in another 10-20 years? I have a picture in my mind of a super-grandmaster staring at his new super-computer running Rybka 11 for hours every day. It’s already a highly-demanding game, but where is the limit to what one can take? It depends on what your definition of ‘is’ ‘fun’ is © People (not me) are already doing that, but there is a great deal of enjoyment in finding a beautiful new idea and successfully using it in a high-level game. Or so they tell me, anyway. The definition of “is” here refers to Bill Clinton’s famous obfuscation of a simple question about Monica Lewinsky. In the full interview I tried to make it clear where the text was originally English, and not translated from Russian, by adding asterisks around it (*…*), though I was tempted to add the rule of thumb that the better and more idiomatic the English sounds, the more likely it’s Peter’s! ProstoTak: Hello, Peter. Are you really friends with Vladimir Kramnik? Tell us a little about your relationship away from the chessboard. Thanks. We’ve got a good friendly relationship – previously we’d see each other more often, but even now we enjoy spending time together to discuss my latest chess mistakes. 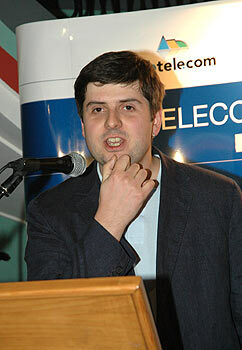 Svidler is immensely ironic, particularly in relation to himself. So if he criticises himself then please divide everything he says by three or four. Herb White: What is more significant, in your opinion, holding the World Championship Title, or currently being rated Number 1 on various rating lists? This seems Magnus-related, and as such, will be covered elsewhere – but for me the Title would be immeasurably more important. There is no luck in chess – Carlsen constantly creates problems for his opponents, often by taking what many would describe as unnecessary risks. Perhaps the fact that his opponents keep on cracking under that pressure might go some way towards explaining why he keeps on doing it. For someone like Kramnik or Anand (I have the same problem, but nowhere near the same results, so it’s somewhat irrelevant) making moves that they know are not optimal in order to increase variance comes much less naturally than to Magnus, but to explain his play and results using the term ‘luck’ is just plain wrong. Unfortunately, as became clear, chess isn’t the most important thing for him anymore. That’s the problem. Again, if chess again becomes something great and significant for Peter then he can and will play. The question is his relationship to chess. Chess doesn’t forgive such a relationship. And didn’t forgive him. I shouted to him about it before the tournament, and during it, but what of it? I can’t punish him, but chess punished him. Together with Svidler chess punished the whole team. And the trainer, who took a man into his team who didn’t love chess. Of course, after the Olympiad I had a read of a few of his interviews, and although they didn’t fill me with joy I think that he’s right on practically everything, so that after mature reflection there’s nothing for me to get offended about. Zhenya never asks more of others than he asks of himself, and he doesn’t try to offload responsibility from himself. I have absolutely no problem playing with him as captain. Peter Svidler is such a gentleman and a great guy! There should be more people like him. That was simply brilliant. 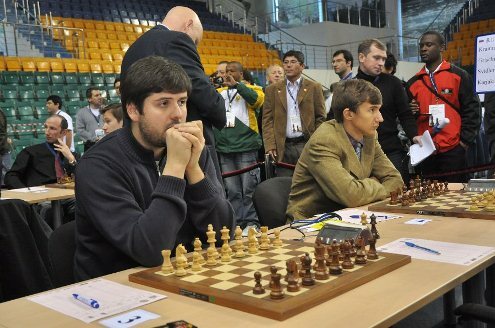 I never felt at one point even that it was not Svidler himself answering all in English. Thats great translation. It’s being translated now… it’s pretty long, but hopefully it’ll be ready in the next two or three days! aw, what you flying for? you’re supposed to be hunching over at a desk all the time translating cool chess stuff.